In 1771, Lord Robert Bertie ordered 150 new sets of new accoutrements for the 7th Regiment of Foot. He also paid for 250 old sets to be updated. These updates included "new Buckles to ye Pouches(1)." The year prior, pouches were purchased for the sergeants of the regiment. There was no indication if there was any differences between the pouches for privates and sergeants as they both cost the same amount. A price distinction did not arise until clothing and acccoutrements were purchased for the 1775 Augmentation. At that time, Lord Bertie ordered 176 new pouches and waistbelts for privates and 3 sets for sergeants(2). Unfortunately, none of the pouches were described in detail. 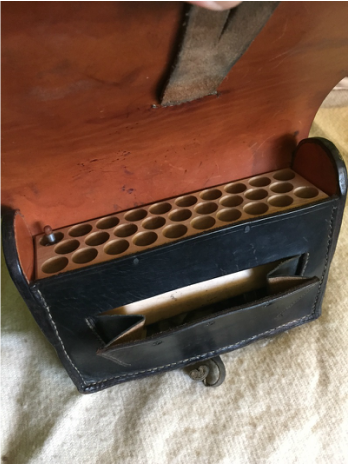 The Light Infantry Company, formed in 1771 had their own style of accoutrements which included a 9 round cartridge box, powder horn and ball bag. The Grenadier Company's accoutrements were very similar to the Battalion companies with the addition of a brass matchcase, rings and slowmatch. Since the pouches the 7th arrived in Canada with had been either purchased or updated in 1771, it is likely that these pouches were of the old, soft body style widely in use during the 7 Years War. 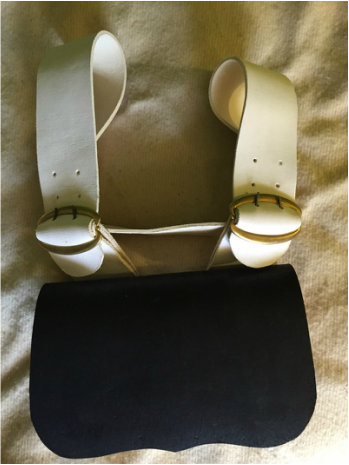 A couple of variations survive, one has had the strap altered by removing the third buckle, sewing the strap together and plugging the holes. 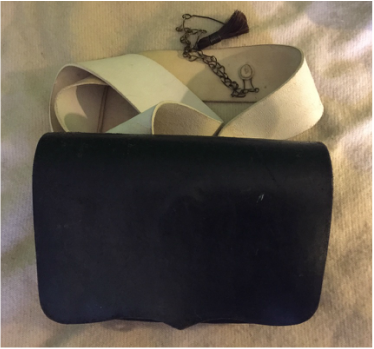 It would appear from the order that the new pouches were simply manufactured with a single piece strap, but of the same older style pattern. Immediately after it was decided not to draft the 7th Regiment of Foot in May of 1777, Lord Bertie placed an order for new accoutrements, off a new pattern, to outfit the entire regiment. A total of 384 cartridge pouches were ordered for the Battalion companies, 56 for the Grenadiers and 56 for the Light Infantry Companies. The sergeants of each company had smaller, distinctive pouches (3). While the pouches of the Grenadier and Light Companies had distinctive ornaments on the flaps, there is nothing to suggest that ornaments were provided for the Battalion Companies. During the course of the American Revolution, there were a variety of cartridge pouch designs employed by the British. 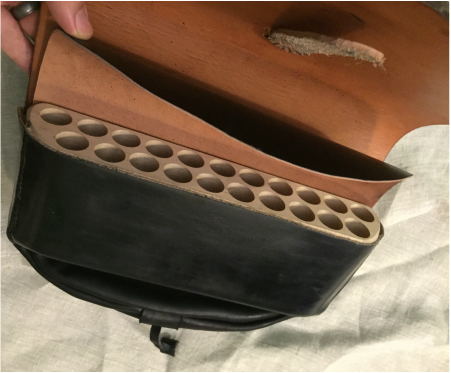 Old styles dating from the 7 Years War, reversible block pouches carrying between 36 and 40 rounds, 18 round pouches with tin inserts, 18 round pouches with wood blocks, 26 round pouches, and 29 round pouches. There is no way to say for certain which style was ordered by Lord Bertie in 1777. It is safe to say that the pattern ordered in 1775 was likely the same as the 1777 order as the regimental agent, Ross & Grey, ordered from the same firm both times, and had them shipped almost immediately (indicating a ready-made supply). The 29 hole variant is what is interpreted by the recreated Helyar's Company, and is pictured below. 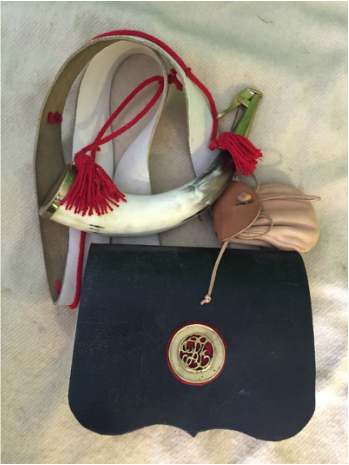 The 1777 acccoutrement order listed that the cartridge pouches for the Light Company included a brass mounted powder horn and a bullet bag in addition to the pouch with buff strap and brass ornament on the flap (3).